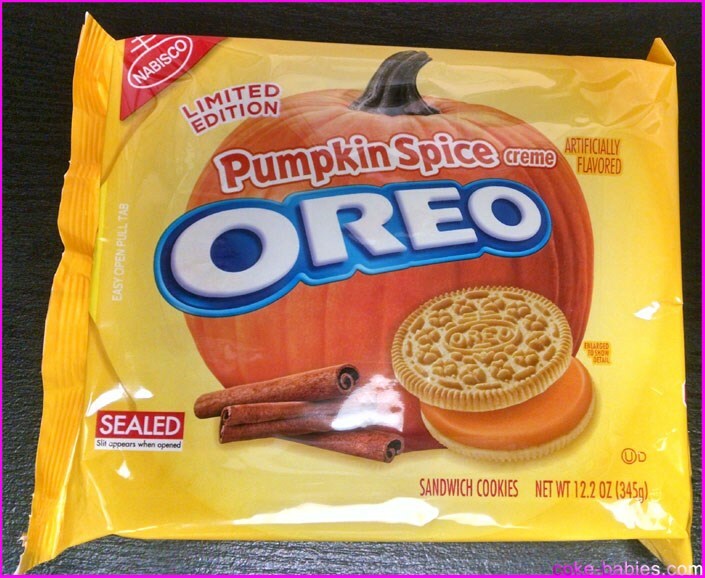 Somehow, Pumpkin Spice Oreos weren’t a thing until now. Despite the fact that anything that can be pumpkin-flavored will be pumpkin-flavored, Oreos has been slow to catch up. This is especially odd, considering how Oreos practically make up an entire cookie aisle by themselves now. We as a society didn’t keep an eye on Oreos, and without any security measures in place, all sorts of ridiculous and awful flavors have sprung up. We don’t need Berry Oreos, Caramel Apple Oreos, or any of the dozens of flavors loitering on cookie shelves. Oreos: you are awesome, but you are testing my good will. You are allowed four options: Regular, Double Stuf, Golden, and some rotating seasonal flavor. I’m being generous by allowing Golden to remain, since Vienna Fingers stomp all over Golden Oreos. Society: please stop encouraging Nabisco’s deviant behavior. 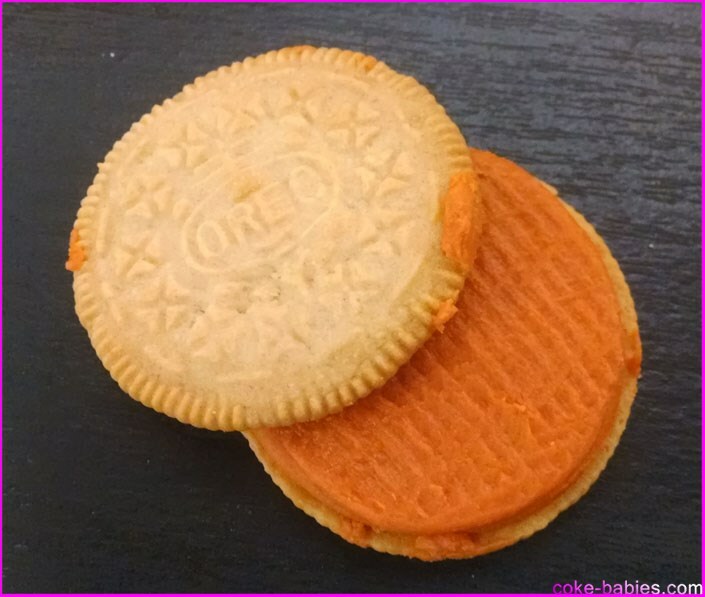 Pumpkin Spice Oreos get a pass, because like I said, everyone apparently gets a pumpkin option. It’s the free space in food bingo. Somewhat surprisingly, the packaging goes for a yellow theme. Sure, leaves turn yellow, and the cookies involved are the Golden cookie variety, but it’s still odd. The yellow reads more summertime. Fall-themed food packaging seems to fall into two category options: “spooky” – black, purple, and green, or “autumn-y” – orange, red, yellow and tans. But yellow needs to be part of a team to play in the fall season. If I thought the color palette of the packaging was a bold move by Nabisco, I found out they played by even less rules inside the package. Actually, the first thing I noticed was how sloppy the insides look. This seems to be due to a softer filling than normal Oreos. Some of it was stuck to the top of the packaging, and some of it was smeared over the Oreos inside the packaging. After the shock of what looked like a frosting murder scene, then my eyes fixed on the empty slot. Again – one was missing! Oreos have just reached such a level of “We can do whatever we want and you’ll just have to deal” that they don’t even feel the need to fill up their entire package with cookies. Looking back at that picture of the cookies, and the soft, sloppy filling, it made me realize that I kind of want to fill the two cookies with sweet potato pie filling. That seems like it could be amazing – can someone do that and send me a few? Thanks. Once the sting of Nabisco’s betrayal subsided, I investigated further. For a brand new package of Pumpkin Spice Oreos, the smell wasn’t as horrifyingly sweet and artificial as you might expect. I mean, the smell was horrifyingly sweet and artificial – just not as much as you might expect. Small favors. Tasting the cookies themselves, I went with the “whole then segregated” method. The first cookie was eaten as a sandwich, to get the balance of subtle flavors and perfect levels of sweetness that all blend together to form the exact eating experience Oreo intended. I’m just kidding. I ate one that way because they’re a sandwich cookie and that’s how they come. The second cookie went – cookie piece, frosting, cookie piece – the proper way to eat an Oreo. This also let me see something I was curious about – if the cookie pieces were flavored as well, or if they were just Golden cookies. The answer to that is – I think they’re spice flavored. It’s hard to tell what is flavor from the creme, and what’s flavor from the cookie. And unlike normal Oreos, these cookies didn’t break from the middle very cleanly – it was tough to not wind up with some creme on the cookie. They seemed to have a spice flavor, even without the frosting’s influence. But I can’t be sure. Also, I am aware that I’m seemingly swapping “frosting” and “creme” with no rhyme or reason, but there is actually a very good reason – I keep forgetting which term I’m going with. Normally I wouldn’t ever call the inside of an Oreo “frosting”, but the texture and taste of Pumpkin Spice’s insides is exactly the same. As for the inside – I just mentioned it, but in case you forgot – it’s different than regular Oreo creme. Whereas normal Oreo creme is a dense, fit-for-space-travel consistency, Pumpkin Spice Oreo creme is the consistency of cake frosting. It tastes fine when you eat the cookie like a sandwich, but when going with the cookie-creme-cookie method, it’s not particularly enjoyable. Double Stuf Pumpkin Spice Oreos would be absolutely revolting. Overall, Pumpkin Spice Oreos are good. The math of adding pumpkin flavor to Oreos didn’t result in what you might expect. The end result is a decent taste, but a much less enjoyable consistency than a normal Oreo. Also, I had two and don’t want any more right now, which never happens with Oreos. As for you, Nabisco – that’s enough. You can put your new flavor queue to rest for a while, the market is more than saturated. I’m especially concerned given the upcoming Christmas season. 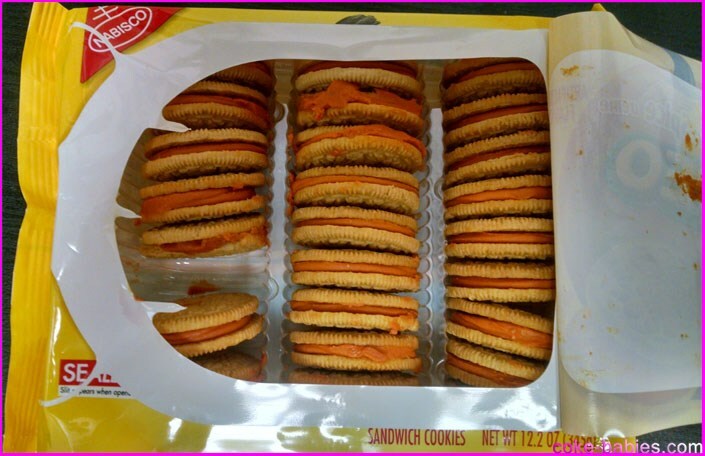 Because if I see Egg Nog Oreos on store shelves, I’m going to lose it on you – badly.